OVER 50,000 Children Were Tortured & Some Murdered at Church in Canada & was done by Royal Bloodlines: Over 50,000 Children Were Tortured Sexually Abused & Some Murdered at Canadian Church Run Residential Schools by Damon Corrie | Last Real Indians. MORE TROUBLE FOR CLINTONS: FBI Investigating Millions Of "Mishandled"
Dollars Funneled To Clinton Foundation. Trump’s Attorney Just Served The CLINTONS – He’s Taking It From Them! Let The Leaking Begin=> House Intel Panel Quietly Votes To Release Proof of FISA Program Abuse To Congress. House Panel To Release Fusion Testimony | The Daily Caller. Ty Cobb's New Deadline: Robert Mueller's Russia Probe over in 4-6 Weeks. Newsweek covered up Pizzagate & wrote 11 hours ago Hillary Clinton could still be President. @RepAdamSchiff: Glenn Simpson transcripts "reveal serious allegations that the Trump Organization may have engaged in money laundering with Russian nationals, the same subject which Mr. Bannon described in his interview with the author of Fire and Fury." . This is the best scam: A liar perjures himself with lies during a hearing to stay out of prison and then you at CNN report of the lies as news. What's next, hosting a show with busted drug cartel members competing for the best alibi? Intelligence is pouring-in for citizens of the world to take notice to what has happened and what is going to happen. I saw similar intel reports by citizen researchers and sat-back in-order to see more. Well…this is it ! We are learning the Hawaiian and Japanese “Missile Attack Warnings” were in-fact real. 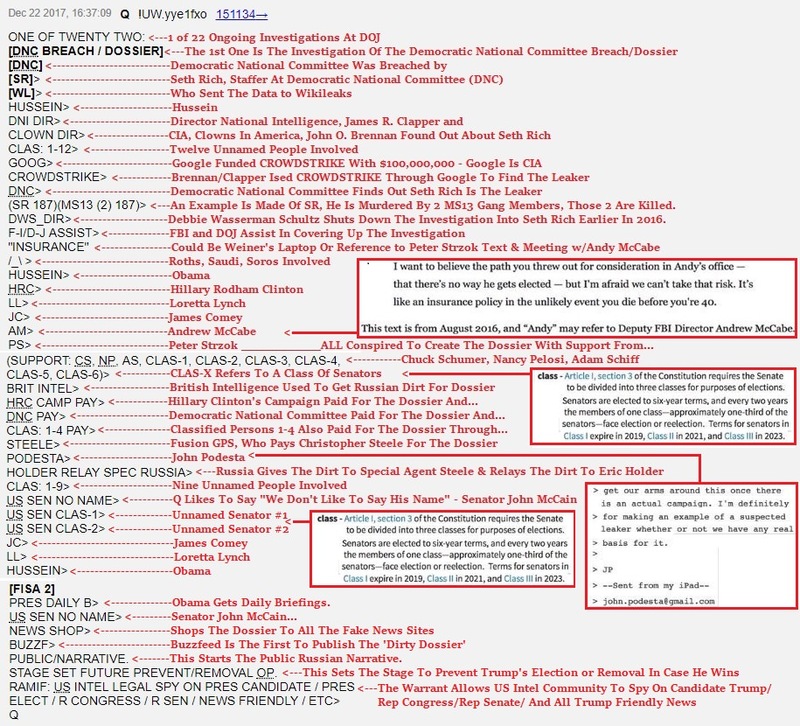 The coded references in November / December 2017 by “Q-Anon” has all the coded indicators for deciphering the attack that almost caused WWIII. Obama and Michael Michelle, Bill and Hillary, along with Huma Abedin and a few others made it a point to be in Hawaii during the attack that never happened. They would have been far enough away from ground zero. The rogue attack has been in the planning stages for months before the election and to better understand why and all the cues that were revealed, watch the video below. “The Hunt For Red October” was a movie about a Russian submarine that went rogue. The “Q-Anon” coded message (late 2017) reference “Hunt For Red October” was further emphasized as an event that was coming soon. Blaming North Korea for a nuke attack on Hawaii would have played right into the hands of the “Deep State” attempts to either blame Trump for a counter attack on North Korea or blame him for not reacting to an attack by North Korea. The result of a rogue missile launch from an unknown sub was intercepted and destroyed. The CIA has nuclear subs…. There is NO MEDIA, including Alex Jones…of whom is bolstering today over his InfoWars media award pay-out….has either been instructed to NOT talk about this, or doesn’t want to open the door to massive criticism from his enemy….Corporate Fakestream Media. Very sad…. Therefore…it’s just an approximate million of us watching these developments unfold and at least (WE) have been given a heads-up of things to come and the opportunity to prepare for anything mentally and otherwise in the event thereof. Because the “Deep State” failed to get a missile into Hawaii, the next phase might be as dangerous. Listen carefully to LTC Potter’s full analysis of what is happening and what can happen. A review of a classified document outlining what is described as extensive Foreign Intelligence Surveillance Act abuse was made available to all House members Thursday and the revelations could lead to the removal of senior officials in the FBI and Department of Justice, several sources with knowledge of the document stated. These sources say the report is “explosive,” stating they would not be surprised if it leads to the end of Robert Mueller’s Special Counsel investigation into President Trump and his associates. Can anyone confirm? Huge if true. Im hearing through my network that hell is about to come down on Hillary, Obama and #DeepState. The New York courts have refused to pursue an investigation against former FBI Director James Comey and several other major figures involved in the Clinton email scandal, seemingly breaking their own rules in the process. Ty Clevenger, a lawyer, had filed grievances against Mr. Comey and three others saying they violated fundamental rules of lawyers’ ethics by the way they handled the investigation into former Secretary of State Hillary Clinton’s emails. Take this check and cash it, the Democrats are in a full blown panic right now over the #Obamagate scandal that’s about to become a nightmare for them. Watch them all scurry like roaches when the lights come on it. “Release the memo and watch the rats run away like the cowards they are. Your mind is about to blown, and your eyes open, to both the power of the federal govt, and the vengefulness of an Obama administration hellbent on destroying Trump,” added Bongino. Release the memo and watch the rats run away like the cowards they are. Your mind is about to blown, and your eyes open, to both the power of the federal govt, and the vengefulness of an Obama administration hellbent on destroying Trump. POTUS will always be out of DC when major "Big Ugly" details are revealed. It's a security measure.TheLastRefuge added. ODNI Dan Coats declassified a FISA court opinion in April 2017 that showed a pattern of systemic abuse of FISA-702(17). For the current story, the FISC outlined specific frequency violations from November 2015 through March 2016. HILLARY CLINTON, CARE TO EXPLAIN????? Ted Kennedy Barack Obama Bin Laden slip. There seems to be a great effort to kill the Israeli submarine version of this story, but if it was rogue Chinese, the Chinese know how to contact me and tell me this. My sources say Israeli submarine, so I’ll stick with that. Also, the only people on this planet who have been consistently trying to start World War 3 are the Armageddon-obsessed Zionist fanatics. What are they preparing us for? Ben: The efforts to numb the minds of the people have increased dramatically. I can feel it happening to me so I know it must be happening to others. THAT ARE MYSTERIOUSLY NEVER EXPLAINED. -and, of course, the 9/11 coverup that any thinking person knows was an inside job. The results of this deliberate campaign? The people become increasingly fearful and convinced they are not safe, even in their own homes when even the local police are implicated in murder coverups and the pedophilia epidemic being exposed throughout government, Hollywood, etc. And just to be sure we are prepared to meekly accept something too horrible to contemplate, movies displaying rotting corpses and insane vampires attacking communities flood our theaters. Whatever “they” are preparing us for, they are pulling out all the stops. Any high-octane speculation as to what that “what” might be? My understanding is that they have controlled us through fear since time immemorial, and they are losing that ability to control us so they keep trying, with limited success, to turn up the fear volume. It was because they feared losing control that they planned to kill 90% of the population. Fortunately for us, the military and agencies of the world refused to carry out this task and instead are now turning on the controllers. There will be turbulence as they are removed from power, but rest assured, even if they pull off a few more Las Vegas-style incidents, they have lost the war. G4S, a security firm that has a history of being accomplices in false flags such as the Pulse night club shooting in 2016, has been hired as the security firm for the stadium where the Minnesota Vikings play. There’s been chatter about cabal plots to incite violence between the Sunnis and Shiites within the coming months. If my theory is correct, then it is possible that a false flag is being plotted for 2/4 during the Super Bowl. The likely motive is to blame it on Muslims to get the U.S. involved in this planned conflict. In regards to the crimes against Haiti, the pizzagate citizen investigation team has been looking into Haiti since then. I think I may have figured out how the organ-trafficking crimes were done. Bill Clinton was in charge of a UN Cholera task force sent to Haiti in the Fall of 2010. This was odd, given that cholera was unheard of in Haiti… until shortly after the task force arrived. Genetic forensic testing of the Haiti cholera epidemic showed the strain was from a Nepal epidemic two months earlier. This strain was found to have been dumped into a major river (certainly intentionally) via a septic waste pipe coming from the UN cholera task force facility. Cholera serves as the perfect murder weapon for organ harvesting, for it rarely damages organs, but kills via dehydration. Given the epidemic, the murder weapon can also become the coverup. Q POSTS LIVE DURING SHOW! We discuss in real time. and this is the only verified place Q posts go...apparently 'they' opened their own site that is secure? What  people are currently meeting in a 'safe' room [heavily guarded]? Why did everyone leave their phones/all other electronic devices in Room 239? Why does it take the information going PUBLIC before JUSTICE is served? Why is the D party MAKING EVERY EFFORT TO BLOCK THE RELEASE OF THIS FISA C-INFO? WHY DID RR PLEAD TO RYAN MOMENTS AGO TO PREVENT THE RELEASE OF THIS INFORMATION? ++ / + TICK TOCK. TRUTH belongs with the PEOPLE. Obama doesn’t have “plausible deniability” and stupidity isn’t a defense. #ReleaseTheMemo and you’ll see what these tyrants did in your names. 1.18.18 – “Meteors”/Trump @ Pentagon/Newsweek Raided/#FISAgate/Lockheed SSP Disclosures? What is going on with Trey Gowdy more from Q Anon on Gowdy and what we think happened represented in the video selection I have picked out for your viewing pleasure below. The Truth about Trey Gowdy, Why he Resigned from one Committee and other research. Trey Gowdy OBLITERATES Rosenstein with Hannity over FBI Bias denial. Representing South Carolina’s 4th District, Trey Gowdy entered Congress with a resolute commitment to the conservative principles that have guided him throughout his years in public service. At the core of those principles lies a firm belief in a limited government that inspires trust and demands accountability. #Q: Has Trey Gowdy Gone Rogue? What You Must Know! The Clintons and their minions are in deep, deep trouble. The indictments have begun. According to new posts by Q, “the strings have been cut. Highest levels. The puppet masters have been removed. There are no deals. 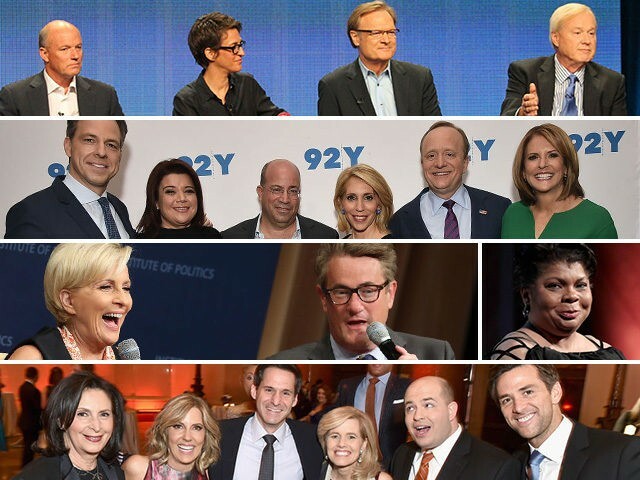 There is NO escape.” Here are just a few of the GOOD things that have happened since President Trump took office that would NOT have happened if Hillary had been selected. President Trump has released his Fake News Awards. In the spirit of the historic occasion, Breitbart News came up with a few journalist awards of our own. Between PieGate and constantly screaming, “ARE YOU A RACIST!” at President Trump, CNN’s April Ryan is by far the most desperate to viralize her own hysterical trolling, even if it means proving that her IQ hovers below room temperature. The young woman ordered an Uber — the receipt shows it was about 11 pm — and says she planned to call [her friend] Padró Ocasio back once inside the car. In the few minutes she waited, she said, Thrush walked back over to her and started to kiss her again. She began to cry. When Thrush saw, he abruptly walked off, waving his hand flippantly, and left her alone to wait for her ride, she said. — BuzzFeed News is now most famous for spreading fake news. — Politico has not published a story that matters in forever. — CNN, which no one believes anymore. And Axios is just getting started. Months after Trump had already made a climate report public, the New York Times accused him of suppressing it. — The false claim that Obama did not spy on Trump. In April 1968, amid a flurry of other “rocks,” riots shook American cities following the assassination of Martin Luther King Jr. It took that rolling unrest, not the promise of further economic growth, to spur President Lyndon Johnson and Congress to action. Within a week, they had passed the Fair Housing Act. Segregationists have again assumed their pedestals in the Justice Department, the White House, and many other American temples. Paper alone will not drive them out. Start throwing rocks. The FBI has information that indicates associates of President Donald Trump communicated with suspected Russian operatives to possibly coordinate the release of information damaging to Hillary Clinton’s campaign, U.S. officials told CNN. — Brian “Bam Bam” Stelter of CNN. Watch Brian celebrate a “transcript” from a wiretap taking down Mike Flynn. Watch Brian blast the president for believing Brian’s reporting. See the effects of year-long stress eating on Brian. Tapper regularly goes in search of affirmation and celebrity on the late-night shows and tell lies about Trump. If CNN will lie about the little things, imagine how much CNN lies about things that matter. — The Washington Post for thinking no one would care if we learned that their religion writer for more than two decades was a practicing occultist who believes she murdered people with curses. In what could be a major black eye for the deep state and yet another nail in the Clinton legacy coffin, The Hill's John Solomon reports that Republicans on key congressional committees say they have uncovered new irregularities and contradictions inside the FBI’s probe of Hillary Clinton’s email server. "This was an effort to pre-bake the cake, pre-bake the outcome,” said Rep. Matt Gaetz (R-Fla.), a House Judiciary Committee member who attended the McCabe briefing before the holidays. That evidence includes passages in FBI documents stating the “sheer volume” of classified information that flowed through Clinton’s insecure emails was proof of criminality as well as an admission of false statements by one key witness in the case, the investigators said. On Friday, Rep. Ron DeSantis (R-FL) told “Fox & Friends,” that he believes the bombshell FISA memo should be released to the American people. “Let’s get that out there so the American people can see how this whole collusion thing was going on during the campaign,” the Florida lawmaker told Fox News. Judicial Watch president Tom Fitton is now demanding Congress release the bombshell FISA abuse memo, while taking a swipe at the courts for protecting Deep State corruption. #ReleaseTheMemo and everything else on Clinton-Obama DOJ, FBI-Russia collusion/illegal leaking/unmasking/illegal spying on @RealDonalTrump team scandal. @JudicialWatch FOIA is being stonewalled in federal court on this massive corruption by DOJ/FBI/NSA. Who is running this admin! According to reports, the FBI agreed to pay former British spy and dossier author Christopher Steele to continue digging up dirt on Trump and Russia. The FBI pulled out of this arrangement once Steele was publicly identified in media reports. High ranking member of the House Intel Committee Adam Schiff (D-CA) knows he’s in hot water as the FISA memo bubbles up to the surface. After he reviewed the classified docs Chairman Nunes looked at which showed Trump was illegally unmasked by Obama’s hacks, he clammed up and changed his tune. Schiff began saying he ‘can’t go into the contents of the documents’. Many also began to speculate that it was Adam Schiff who started leaking tidbits of Don Jr.’s closed-door House Panel interviews to CNN in a desperate attempt to keep the ‘Trump-Russia’ story alive. Watch Adam Schiff change his tune after seeing the FISA abuse. He knew Chairman Nunes was onto something and actively blocked him from investigating with a bogus ethics probe. Rep. Adam Schiff knew all along there was FISA abuse and actively worked to block Chairman Nunes from revealing the information. If Schiff was honest and allowed Chairman Nunes to release the information he had about the FISA abuse and illegal unmasking back in March or April of 2016, Robert Mueller would never have been appointed as Special Counsel to oversee the bogus Russia witch hunt. Conservatives were calling on Trump to #ReleaseTheMemo underneath his tweet. President Trump cannot unilaterally release the memo; the House Intel committee must vote in favor of the release pursuant to House rule X. Described as a “new smoking gun,” conservative watchdog Judicial Watch released 78 pages of U.S. State Department Friday that detail new proof Hillary Clinton mishandled classified information. On March 8, 2011, Hillary Clinton sent classified information regarding Bahrain to Justin Cooper, who reportedly had no security clearance, with instructions to show it to Bill Clinton. Cooper was the Bill Clinton aide, who asked State Department IT specialist Bryan Pagliano to build a server for Mrs. Clinton in early 2009 as she started her new job as Secretary of State. On August 24, 2010, Clinton emailed Cooper additional classified information to print, including the secretary’s call sheet for Indian Finance Minister Pranab Mukherjee. Last November, Judicial Watch discovered new classified emails from former Secretary of State Hillary Clinton showing more pay-to-play. On August 4, 2009, Terrence Duffy, a donor to the Clinton Foundation and executive chairman of the derivatives giant CME Group, asks Clinton for her assistance in setting up meetings with Asian leaders. The House Intel panel’s passage of New York Republican Rep. Peter King’s motion to release the FISA abuse memo to fellow House members has rocked Washington, D.C. Lawmakers from Rep. Matt Gaetz (R-FL) to Rep. Lee Zeldin (R-NY) have called for the classified memo’s immediate release. According to Fox News contributor Sara Carter, the contents of the memo are so “explosive,” that it could end special counsel Robert Mueller’s Russia probe once and for all. Former Secret Service agent Dan Bongino warned the release of the FISA report will destroy the image of his former boss Barack Obama. The House Intel panel’s passage of New York Republican Rep. Peter King’s motion to release the FISA abuse memo to fellow House members has rocked Washington, D.C. Lawmakers from Rep. Matt Gaetz (R-FL) to Rep. Lee Zeldin (R-NY) have called for the classified memo’s immediate release. According to Fox News contributor Sara Carter, the contents of the memo are so “explosive,” that it could end special counsel Robert Mueller’s Russia probe once and for all. “The Most Explosive Scandal in US History”: Ex-Secret Service Warns FISA Memo Leaves Obama With Only Two Options once the FISA memo is released. OPTION 2) I did know and I approved of using the police state to spy on my opposition. The former Secret Service then laid out Obama’s options. On Thursday night, Freedom Caucus leader Rep. Mark Meadows (R-NC) joined the chorus of lawmakers demanding the classified FISA abuse memo be released. On Thursday evening, Rep. Steve King (R-IA) joined Meadows in calling for the memo’s immediate release. “I have read the memo. The sickening reality has set in. I no longer hold out hope there is an innocent explanation for the information the public has seen. I have long said it is worse than Watergate. It was #neverTrump & #alwaysHillary. #releasethememo,” tweeted King. Attorney and FOX News analyst Gregg Jarrett joined Sean Hannity on Friday night to discuss the explosive FISA document that was released to the House Intelligence Committee this week. Gregg Jarrett says the document will show “numerous felonies” by top Obama DOJ and FBI officials. Jarrett then adds that the criminal actions may result in up to 10 years in prison. Gregg Jarrett: Top officials should be impeached which means they can’t hold another government position. But I suspect this intel document is going to reveal multiple felonies by high ranking officials at the FBI and Department of Justice. There’s a federal felony statute it’s called Deprivation of Rights Under Color of Law and it says that a government official cannot use their government position to deprive somebody of their constitutional rights. Here it’s the constitutional right to privacy… If the DOJ goes into a federal judge using a fake false document to obtain a warrant to spy that’s a violation, it’s a felony, it’s 10 years behind bars. Today, Q asked Americans to UNITE and look beyond MSM created divisions. It's time to keep our AIM steady and true and to IGNITE a Unified #WETHEPEOPLE as this historical Unrigging of our government gains more and more Momentum in the #STORM unfolding. Q HAS FURTHER REPORTED 10 DARK DAYS and the the GOV'T Shutdown is imminent as of 8pm Pacific. Why are we providing crumbs? Not convinced this is spreading? You, the PEOPLE, just forgot how to PLAY. Counter-narrative went out @ 4am to MSM contractors [like clockwork]. These people are REALLY REALLY STUPID. CS will live in fear from today forward. Thank you for visiting the WH. Schmucky Chucky shaking in his booties about now, I would imagine! Need a few red pills for family, friends, and others? Read the #Memo. Release coming. Make sure to learn Russian. "Solutions to private problems and public problems require the ability to think things through, logically, and to reject what is unworkable or biased---but above and beyond that, a person needs to be able to imagine solutions that haven't been tried before." See link above for the rest of the article. Another lie. Need 60 Senate votes to pass any appropriations bill. A simple majority won't do it. You know this, you're just grandstanding. Biggest Tick Tock Ever!! Vindication! Armed with powerful AI systems, technology companies are free to remove and block the communications of their users at the behest of the government, in a seamless alliance between Silicon Valley and the major US spy agencies. DEVELOPING: A source tells us that now 129 members of House have read the Intel Committee memo. U.S. Congress Took Bribes From Honduran Official To Ensure the Safe Passage of #BoatLoadsOfCocaine. Think about this before bed: when Cankles & Zero sicced their spies on Trump, he still wasn't considered the front runner or eventual nominee. I bet they have 10 times more on EVERY GOP candidate. This is why Rs are furious. It's NOT JUST TRUMP!! Ironically though creating 'fear' DACA isnt up for review until March 5 so the Democrats are playing America ... Again! are protected from arrest while in session. From the beginning it was a set up to find dirt on Trump campaign insiders and if possible to topple Donald Trump’s presidential aspirations. Before and after the 2016 election. And while this operation had many moving parts and alternating players, the mission to unseat Trump never changed. And it remains ongoing. Paul Manafort was wiretapped. Cater Page was wiretapped. Donald Trump Jr. was wiretapped. Jared Kushner was wiretapped. Gen. Michael Flynn was wiretapped. And likely there were others. And none of it was very legal. There were 5 Republicans (McConnell, Graham, Flake, Lee and Paul) who voted with the Dems. McConnel had to change his vote to NO in order to keep the ability to reopen the negotiations. How can we listen in, track, and monitor American citizens [bad actors]? What must we LEGALLY demonstrate in order to gain such warrants? Do we TRUST the FISA judges? It snowed on the sahara desert, one of the hottest places in the world. In recent years, a profound development has been unfolding in astrophysics: the inevitable recognition of tremendous electric currents at the largest cosmic scales. In this episode, retired professor of electrical engineering Dr. Donald Scott analyzes two recent scientific papers that propose galactic jets are electromagnetic in nature.